All brands recognize the power of social influencers, but they also get pretty browned off that a lot of money has to be paid out to see their brand on influencers' timelines, or in their stories. And so you see brands becoming increasingly resourceful in creating 'Instagrammable' content. Or maybe it would be better to say 'facilitating', so that the target group can produce cool content themselves. For example, you see more and more brands turning their shops into an Instagram attraction or even creating an Instagram spot. For example, take Paul Smith, who adorned his store in Melrose, Los Angeles, with a bright pink wall. Since celebrities like supermodel Karlie Kloss and YouTube stars like Cameron Dallas and Hailee Steinfeld posed in front of the wall, enthusiastic Instagram users have been taking some very creative photos against this background. In recent years, it has become one of the most Instagrammed buildings in California. In June 2017, its appeal became even greater when one of the two walls was temporarily painted in the colours of the rainbow, in honour of LA Pride, and as a reference to the rainbow flag - the international symbol of the LGBTQ community. The rainbow wall was such a success that an extra parking lot attendant was employed to manage the selfie-snapping crowds. "Anything that Paul Smith can do, we can do too" must have been going through Samsung's minds when they created the Dutch Pink Wall in Rotterdam last year. The Instagram wall was part of the Samsung campaign 'Do Bigger Things', in which they encouraged everyone to make their dreams come true. Sandra Kleine Staarman, the fashion blogger of MoreStyleThanFashion, was inspired by Paul Smith's Instawall, saying, "Colours lend character to cities and outfits. I also wanted that in Rotterdam's asphalt jungle." And so a pink wall appeared on the side of the Hofbogen in Rotterdam. The 25-metre-long wall (five metres high) was only there for three months, so many bloggers rushed to take a look. Unlike the Paul Smith version, its Dutch sister featured different areas, therefore no picture was the same. What was more, you could photograph yourself with a speech bubble on the picture and write your own text in it. 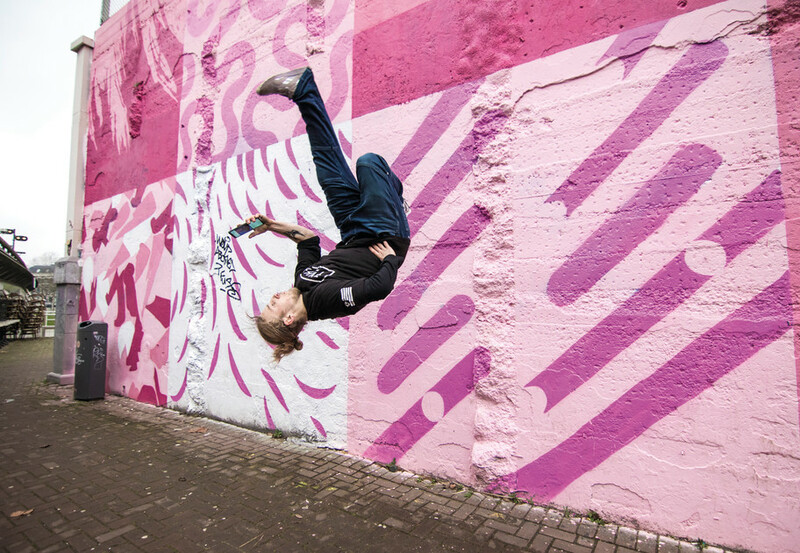 This wall too attracted a lot of attention: people photographed their children in front of it, took original selfies and even performed wall flips (with a Samsung phone in their hands!). Samsung was able to reach the target group with relevant content, without having to pay social influencers to do it. How do you turn your place into a social media Mecca? Let's take the example of the powder pink restaurant Mama Kelly in Amsterdam. Sure, they put a lot of thought into their 'chicken or lobster’ food concept, but even more care went into their décor. The photogenic setting and the ‘You'll never guess’ wall were featured heavily on social media. Need inspiration for creative settings? In 2017, The Refinery held its 29Rooms event for the second time. This features 29 rooms decorated by artists and brands, with the aim of getting you to take out your phone and give free rein to your creativity. The event is also referred to as ‘funhouse of style, culture and technology’. The settings, which ranged from a human car-wash and a merry-go-round filled with beauty products to a giant pit full of foam, all had one aim in common: to give the visitors the tools to produce creative content themselves. And huge numbers did just that! Exclusivity was created to increase customer satisfaction. The event was accessible for only a few days and, for the first time, an admission fee was charged. Although it took a month to build, the event was open for just four days in New York and a week in Los Angeles. All the same, it drew about 20,000 visitors in New York alone and Refinery claims about 520 million total interactions across platforms. In the food sector, it has become clear that it is not only the setting that counts; the popularity of food blogs has also meant that the look of the dish is important too. The ‘Instagrammable food’ trend has come into being, with restaurants and catering businesses taking account of online sharing when designing their premises and menus. The new consumer wants food and drinks to stand out and be colourful. Average and predictable are not good enough. It's better to have over-the-top décor and food presentation so that photos show status and significance on social media. So does your restaurant have sufficient light? Does it have a 'selfie-spot' with a neon logo? If you turn your signature dish into a real icon, you've fulfilled the preconditions for an Instagram hot spot. The new food stars are most of all a delight for the eye. Such things as Poké bowls (with raw fish), Buddha bowls (with superfood), and Galaxy bowls (with flowers combined with vegetables or fruit) make for colourful and extremely healthy dishes. 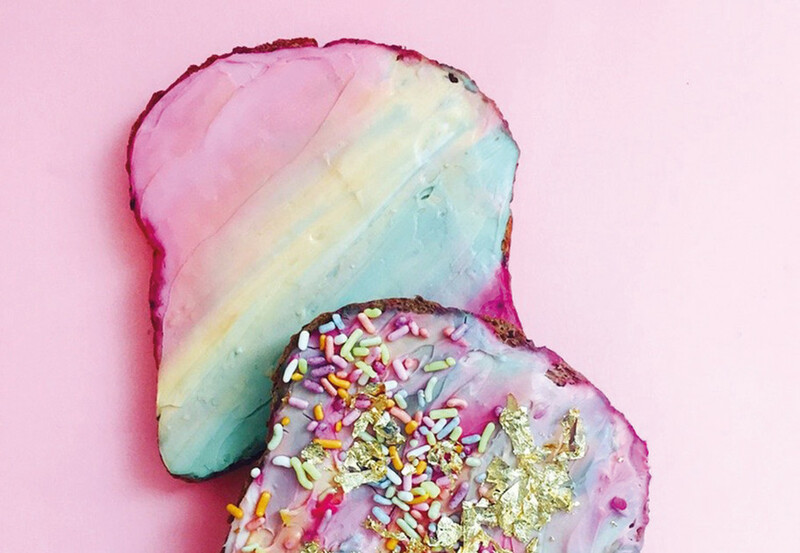 And before 2017 had you even heard of mermaid toast, cotton-candy ice cream or galaxy donuts? Probably not. Various catering industry entrepreneurs have done their level best to come up with over-the-top food concepts. For instance, take Eggloo's unusual waffles or Taiyaki's extravagant fish-shaped cakes with sweet fillings. Coffee shops have also risen to the Instagram challenge. For example, at The End Brooklyn, you can get unicorn lattes and coffee with galaxy toppings, or you can get lattes with colourful animal faces and matching macaroons at Sweet Moment NYC. Coffee barristas eat your heart out! But will these new stars stand the test of time? Not if these businesses do not keep in touch with their target group, because this audience always wants something new. So immerse yourself in their world and you’ll find the way to free publicity.